It is something many of us look forward to all year – fresh tomatoes from the garden! I typically like tomatoes green and fried, and so does Brad Pearson and Kenny King but lately, we have been enjoying a BLT for breakfast. YUM! Bryan Thick-Sliced Bacon, crisp lettuce, Sunbeam bread, a thick layer of Blue Plate mayonnaise, a little salt and a fresh tomato from my mother-in-law’s garden. YUM! We only do that at this time of year, but what a fantastic way to celebrate fresh tomatoes! But some of y’all eat them straight from the vine! 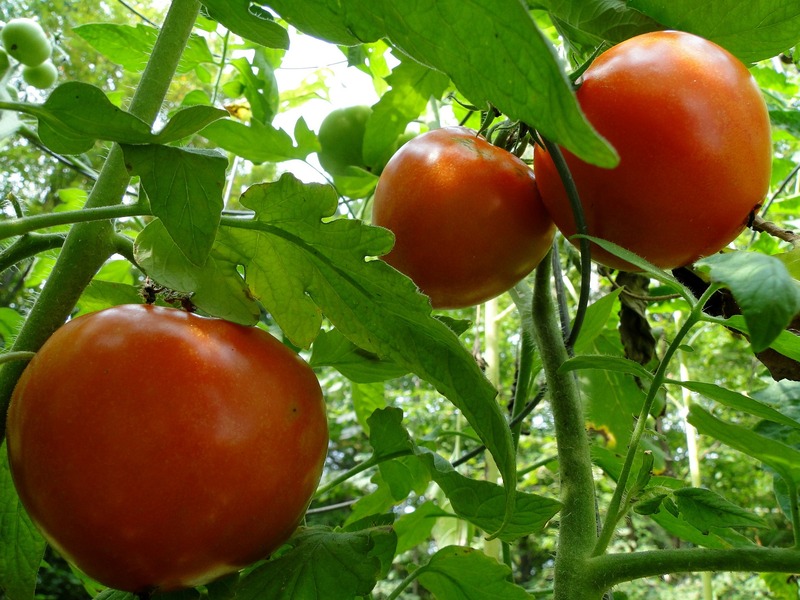 I Asked Facebook and Twitter friends and followers to share their favorite ways to enjoy fresh tomatoes from the garden, and so many never make it out of the garden, before taking a big bite of the juicy fruit/vegetable! Bob Graves said “I wipe most of the Sevin off on my t-shirt and eat it like an apple.” Oh my! Needless to say, everyone seems to LOVE fresh tomatoes. Betty Pepper said she loves them any way she can get them, even raw. Shirley Steadman Edwards said they were “yummy any way” she can get them! Jan Bennett said “if it fits in my mouth, I just throw it in my mouth!” She loves tomatoes! Bootsie Weed and Peggy Clark loves a BLT as much as I do – just without as much mayonnaise. And there are many fans of the tomato sandwich. For potluck luncheons in the summer, I like to make the “Vicksburg Tomato Sandwich” that I read about in funny book about Southern Traditions years ago. I can’t even remember the name of the book, but this has always stuck with me. Cut bread into a circle with a cookie cutter. Slather on mayonnaise and sprinkle with salt and pepper. Pat-dry a thinly sliced fresh tomato and add it to the bread. Top with a sprig of fresh parsley. They always disappear! Betty Duncan, Etty Brown and Ruth McCulloch Odom all LOVE a good tomato sandwich. Nancy Latham said it was “her very favorite sandwich.” Ruth McCulloch Odom eats her tomato sandwich with sliced cucumbers on the side! Jill Nelson said besides a fresh tomato sandwich, she likes to top (cut in quarters) one with fresh tuna salad and eat it with crackers. Sandra Hull loves Tomato Pie and it is a recipe I am going to have to try before the season is out. Bake 1 Pillsbury pie crust at 400 degrees for five minutes. Peel 4 ripe, but firm, medium size tomatoes and slice about ½ inch thick. Place on a paper towel to drain. 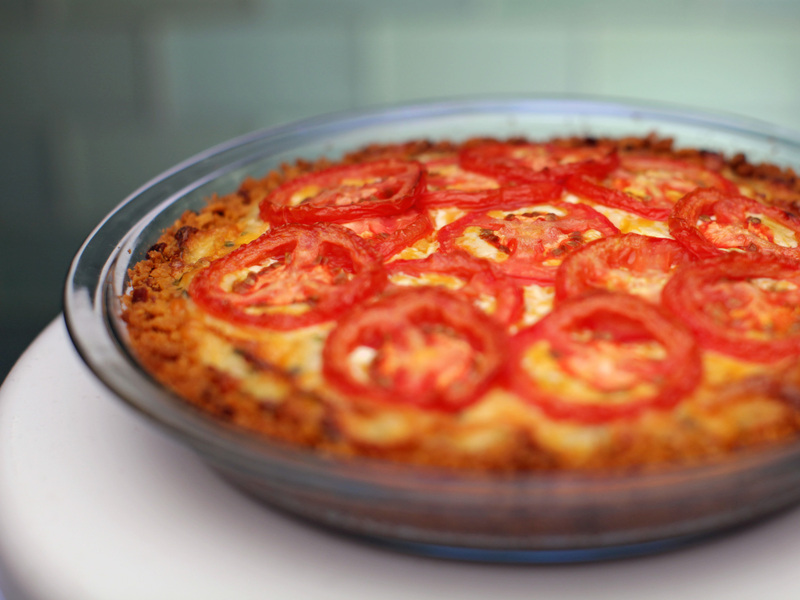 Place tomatoes in pie shell in a single layer. Sprinkle with your favorite spices, we like salt, oregano, basil, chives and garlic pepper. Brown 1 pound ground beef. Add 1 pkg. of dry taco seasoning. Spread on top on the tomato in the pie shell. Mix ¼ cup mayonnaise, ½ cup sour cream and 1 cup of shredded cheddar cheese. Spread evenly over the tomatoes. Bake at 325 for 20 minutes. Allow to cool 10 minutes before serving. And Jennifer Longmire makes pizza! She brushes both sides of a tortilla with olive oil and cook in the oven on 400 degrees until slightly brown and puffy . Then she will take them out and flip them over until the other side has puffed up. Once both sides are crunchy and puffed up she takes them out of the oven and adds a thin layer of pasta sauce, mozzarella cheese and thinly sliced tomatoes topped with fresh grated Parmesan cheese and another drizzle of Extra Virgin Olive Oil. She places it in the oven and cook for about 10 minutes or until the cheese had melted. Basil can also be added on top. “It’s so good! Great for dieters,” Jennifer said. 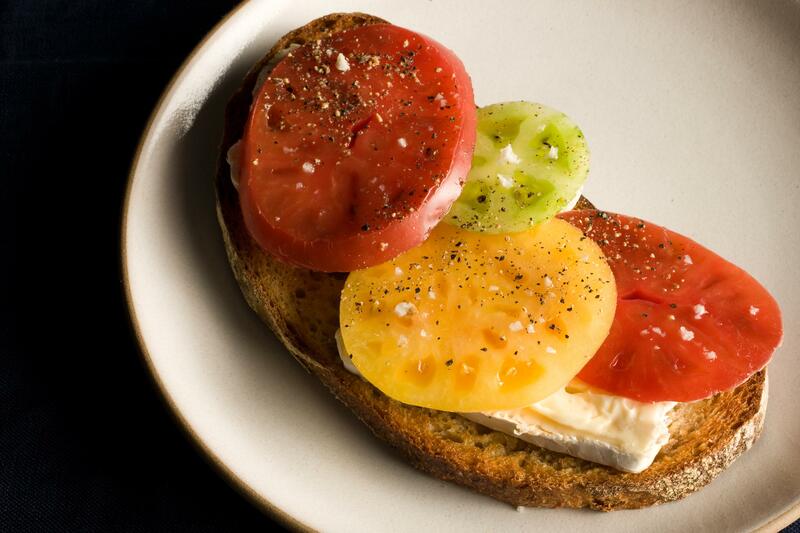 How do you celebrate fresh tomatoes from the garden? Email your recipe to gwenwoodssisson@yahoo.com. This food column was featured in the July 27, 2017 edition of The Winona Times.